Medicham in game: 464 Who? Important notice! Pokemon Medicham is a fictional character of humans. As Mega Medicham, its headpiece now resembles a white turban with a yellow stone in the center. The red extension in the back is retained, and there are five white extensions on the turban, three extending from the stone and one on either side of its head. There is now a gold band on each wrist and additional gold bands around its waist. Several blue, teardrop-shaped decorations hang from the lowest hip band. Using its enhanced willpower, Mega Medicham has formed four ghost-like arms around itself. The more trained its spirit, the more realistic and dexterous its self become. Medicham first appeared during the Fallarbor Contest under the ownership of Grace in Pros and Con Artists and Come What May!. Greta used a Medicham in her battle against Ash in the Battle Arena in Wheel of Frontier. It went up against Ash's Snorlax and lost. 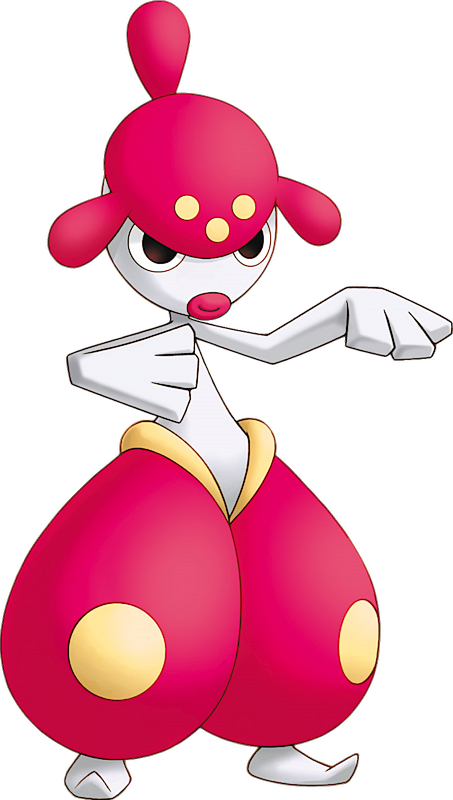 Medicham and its pre-evolution were owned by a family of traveling circus performers in Pokémon Ranger and the Temple of the Sea. 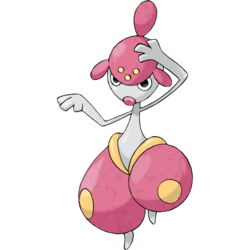 The two Meditation Pokémon used Psychic to make balls of water retain their form. A Medicham under the ownership of Candice appeared in Sliding Into Seventh! where it battled against Ash's Staraptor. It first appeared in a preview in DP120. 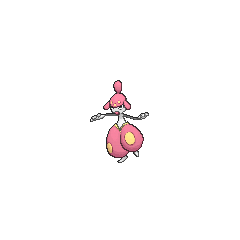 A Trainer's Medicham appeared in Valuable Experience for All!, where it was seen being defeated by Sawyer's Slaking in the Lumiose Conference. A Medicham appeared in the opening of Lucario and the Mystery of Mew. A Trainer's Medicham appeared in A Marathon Rivalry! participating in the Pokéathlon held in Camellia Town. A Coordinator's Medicham appeared in Opposites Interact! participating in the Sinnoh Grand Festival. A Medicham appeared as a mask for the festival in Capacia Island UFO!. A Medicham appeared in Alexa's magazine in The Journalist from Another Region!. A Medicham that can Mega Evolve into Mega Medicham appeared in Mega Evolution Special I. A Medicham is shown Mega Evolving during the intro of Volcanion and the Mechanical Marvel. A Medicham was one of Ruby's opponents in the Normal Rank Beauty Contest in Verdanturf Town, and later as one of the rampaging rental Pokémon in the Battle Tower. It was calmed with the rest of the disturbed Pokémon afterwards. Arcade Star Dahlia has a Medicham that she uses in battle. 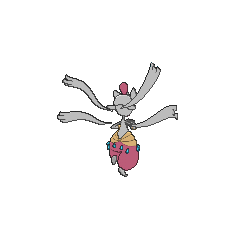 It, along with Togekiss and Ludicolo, got swapped with Platinum's Pokémon because of the Game Board. 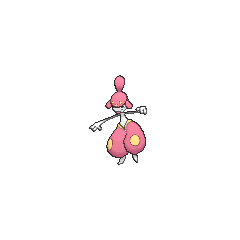 Medicham and its pre-evolution are the only known Pokémon to have the Ability Pure Power. 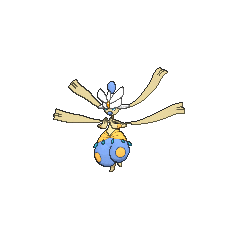 Mega Medicham has the lowest maximum stats of all Mega Evolutions, with its Attack and Speed having a maximum of 100. Medicham resembles a primate of some sort, like its pre-evolution. It appears to have been based on a practitioner of yoga. It may have also been based on Arabian belly dancers, as its pants resemble traditional bedlah pants and its headgear resembles a shawl. One headpiece growth, the longest one, resembles a ponytail, which can be seen on Persian genies in most American fiction, such as Jeannie of I Dream of Jeannie, who also wear bedlahs.